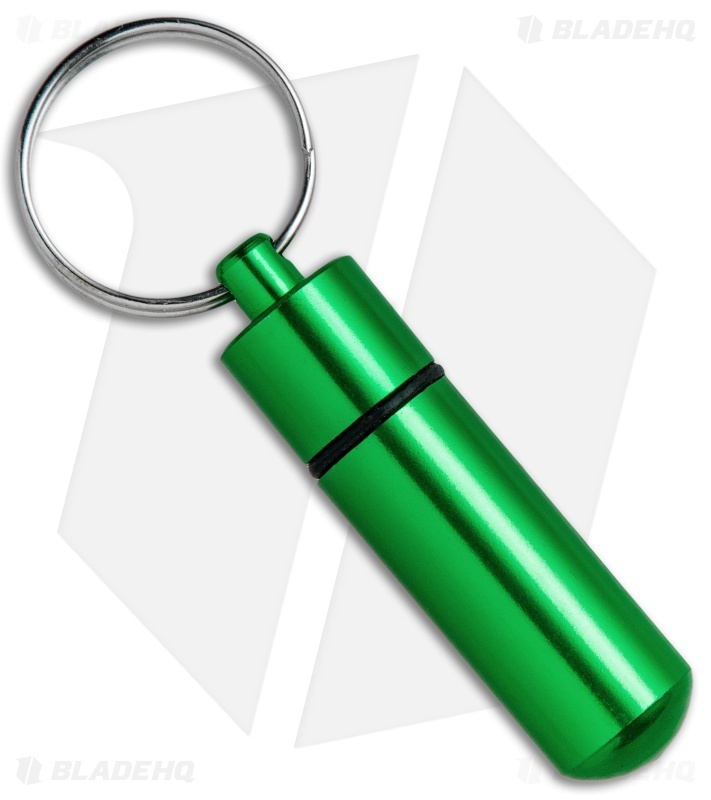 This Storage Capsule model is made from green anodized aluminum. The KeyGear Storage Capsule offers a compact and secure storage solution for transporting smaller items. 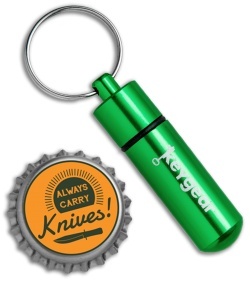 Item includes a 1" stainless steel key-ring for attaching to a bag, belt, or key chain. Constructed from durable and lightweight aluminum alloy. 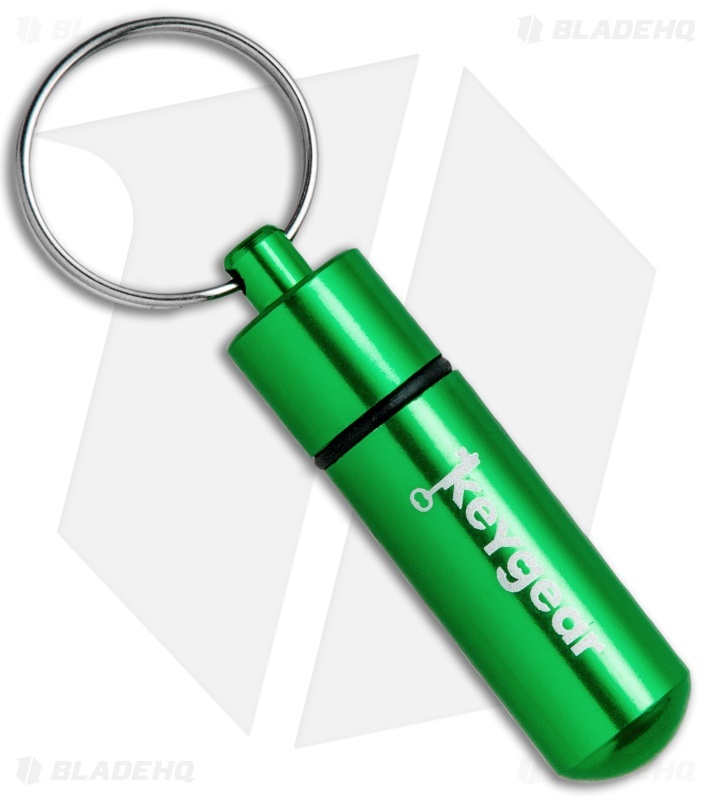 Threaded cap with an O-Ring keeps items safe and dry. Compact design is ideal for hikers, campers, and outdoor enthusiasts.